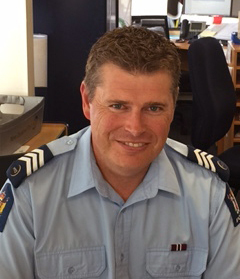 Sergeant Matt Murray from Waitemata District Police kindly answered some of our questions about the role of CCTV in preventing theft, why they’re better than still images from an evidentiary standpoint, and their utility for Police. Q: Hi Matt! Let’s start at the beginning: what happens when you get a report about a shoplifting incident? What’s the process it goes through? A: When we get a report about a shoplifting incident, it goes to the Police Crime Reporting Line. That’s the starting point for the legal process, where we create a case file and route it within the Police for further follow-up. In the case of shoplifting, at this stage Police usually also ask for CCTV footage of the incident if it’s available. In our district, the Investigation Support Unit (ISU) subsequently receives these incident files for investigation. Once the ISU has completed an investigation and is satisfied there is sufficient evidence to identity an offender and prove that an offence has occurred, the file is forwarded for enquiries with the suspect and then prosecution. Q: Why do you ask for CCTV video? Most stores can easily supply photos when they report crime. Isn’t that enough? A: While still images of an offender are helpful for identification purposes, unfortunately they’re usually not sufficient to prove a suspect has actually stolen from a store. Images only capture a moment in time, and even though it may clearly show a person in the store or with an item in hand it seldom proves to the court’s satisfaction that a person actually stole. In order to prove that beyond a reasonable doubt we need video of a person taking an item and then leaving without attempting to pay. Without the video or other relevant further information it can be difficult for the incident report to result in criminal charges against the offender. Q: What do Police need in order for charges to stick? A: For Police to lay a charge of shoplifting, we must prove both the identity of the offender and that they have actually stolen from a business. While that may sound easy enough, as evidence a still image might prove that a person was in a particular retail store at a certain time, but it does not prove they have stolen goods from that premises. In my experience, when confronted with these images most suspects will admit to being in the store, but deny that any theft occurred. Without an admission from them, the incident file is usually parked due to a lack of evidence to support charges. Q: So what can businesses do to help? What does the video actually need to show in order to prosecute? A: When businesses can provide full, moving video that shows a suspect in a store, uplifting items and leaving without making any attempt to pay, in most cases that’s the standard of evidence we need in order to support a shoplifting charge. Video is much richer than images and tells the ‘full story’, so to speak. When we play it in court, the judge and jury get to see the actions and demeanour of a suspect—especially when they have acted aggressively toward retail staff. If a group of offenders are working together to steal, video can also help show their interaction in a store and is very effective in instances where each suspect blames the other while minimising their own involvement. Q: What’s the best way to get you the video from incidents? A: There’s a couple ways you can get us video. The first is to burn the relevant footage to a disk or transfer it to a USB drive, then drive to the investigating Police station and drop it off with us. For those using Auror, you can upload video directly to the platform so we can review it straight away and expedite the investigation process. If we need any supplementary material we can just leave a note for you there. In either case, by having the CCTV footage easily available as soon as possible after an incident, it allows our office to prioritise your complaint, quickly identify a suspect, prepare a prosecution file and ultimately obtain an admission from an offender when they see the footage. Q: What if the offender spends a long time in the store? Do you still want the whole video? They can be pretty long. A: We’re in the business of collecting as much information as possible, so you’re much better off to include all the video you can relating to an incident. The maximum file size for Auror is 1GB, so if your video file is larger than that you may have to break it into smaller chunks. Otherwise, give us everything. Got a question for Matt? Send it to support(at)auror.co and it may get featured next time!